Although many city ordinances don't allow ducks and geese in backyards, many people outside city limits enjoy keeping them for a variety of reasons. But before adding ducks or geese to your flock, be aware that some can live longer than your chickens, so you 'll want to plan accordingly. The average life expectancy of a duck is between eight and 12 years. 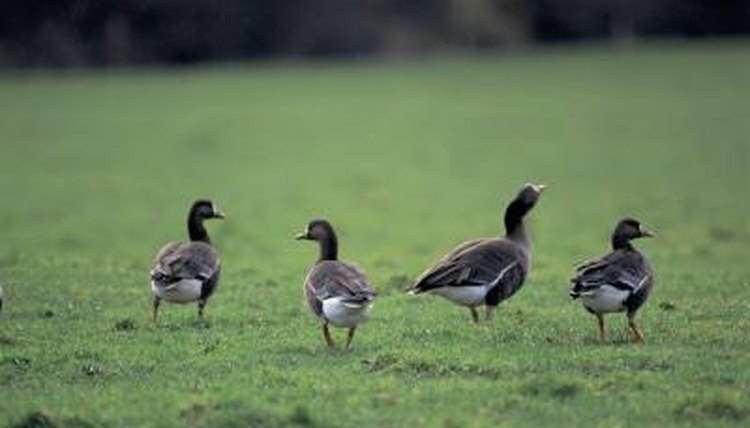 Ducks have been kept on farms and other places for a variety of reasons including eggs, meat, pets or show birds. Some breeds of ducks are prized for their egg-laying ability and can lay up to 300 eggs per year.